Most of this year has been spent designing and writing an interface between SQL*LIMS v5.1 and the new Enterprise Resource Planning (ERP) system being implemented by a global pharmaceutical manufacturing company. The goal was threefold: notify LIMS system administrators of changes made to materials, vendors, and manufactures; automatically create and update lots in the LIMS system; and send lot statuses and results from LIMS back to the ERP when testing was complete. This article will review the decision-making process used to plan and develop the interface. There are many types and sizes of laboratories, as we all well know. Let’s face it though, not many labs are very large, in fact, most have fewer than 25 people. So given this fact, does it really matter what the answer is to the question: “Mirror, Mirror on the wall, what is the largest LIMS of them all?” Well…. you decide. 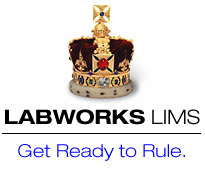 In today’s world, the idea of building your own LIMS is becoming a thing of the past. There are many good products to choose from; but in case you are thinking of having a LIMS built for your lab, consider this image… A home grown LIMS can sometimes be a pretty good representation of a very large bug. Join us as we discuss: 5 Phases of the Evaluation and Selection Process for Laboratory Data Systems - a step by step guide to avoiding costly (Time, $, Capabilities) mistakes. Autoscribe’s Customer Complaint Management System is now available as a hosted / managed web service environment for global deployment. LabLynx, Inc. is pleased to announce the addition of OpenClinica as part of our growing suite of webLIMS.com, SaaS solutions. OpenClinica is clinical trials software for electronic data capture (EDC) and clinical data management (CDM). Because OpenClinica is Open Source, there is no per user license or subscription fees. Simply a low monthly, unlimited users hosting fee with the security and assurances of the webLIMS Cloud Computing, Data Center. 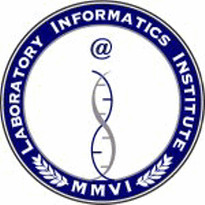 IDBS, the leading worldwide provider of research data management and analytics solutions to R&D organizations, today announced that IDBS customer Dr. Martin Vanderlaan, Director, Analytical Operations at Genentech, will present "Implementing an Electronic Lab Notebook for a Large Bioprocess Organisation," at IQPC's ELN and Advanced Lab Solutions Conference in Brussels, Belgium. Most PACS courses can be provided at your time and place. Most instructors provide consulting services. 2009 PACS Course Sites: Pittsburgh in October, Orlando in November, Puerto Rico in December. 2010 Course Sites: January in Las Vegas, February in Los Angeles, March in Orlando, April in San Antonio, May in Pittsburgh, June in Chicago, July in Boston, August in Toronto, September in Seattle, October in Pittsburgh, November in Orlando, December in Miami. On-site courses are available. 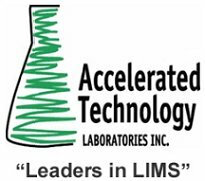 STARLIMS Technologies Ltd., a leading provider of laboratory information management systems, or LIMS, today announced that a global consumer goods company headquartered in the United States is exercising its option to expand its STARLIMS licensing agreement.